Mölle Hamn, the harbor of Mölle is in a sense the center of the town at the base of Kullaberg in the northwest of the Swedish province of Skåne County. 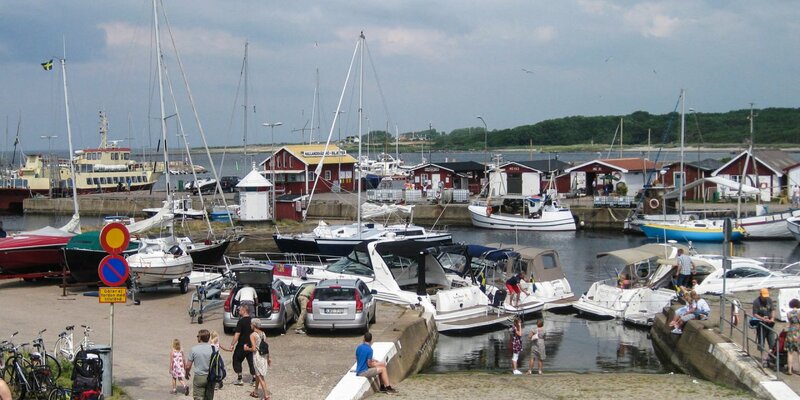 In the shops, restaurants and cafés in the harbor, much of the economic and social life of the small town takes place. 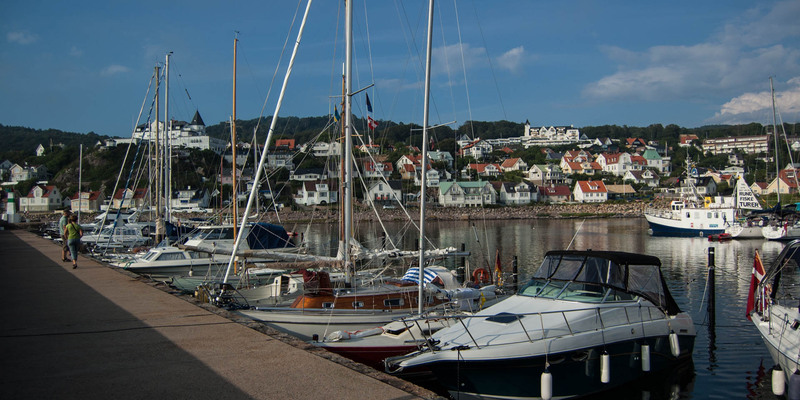 From here you have a wonderful view of the picturesque scenery of the village on the slopes of Kullaberg with its varied development of old hotels, fishermen's houses and modern apartment buildings. 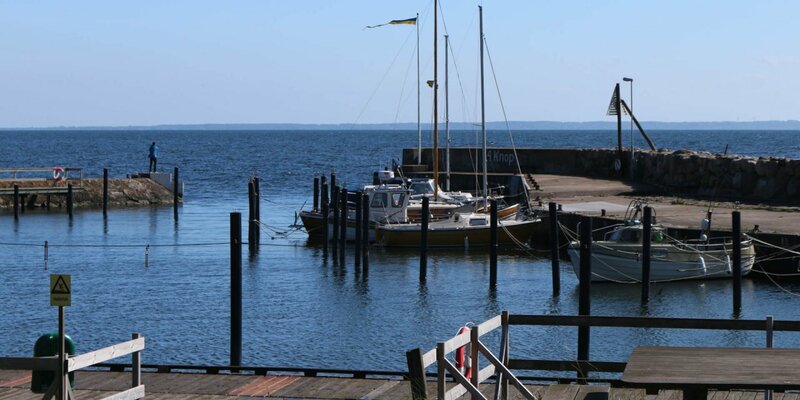 Mölle Hamn consists of two docks and was completed in 1881. In the large harbor basin are about 30 berths for visitors. 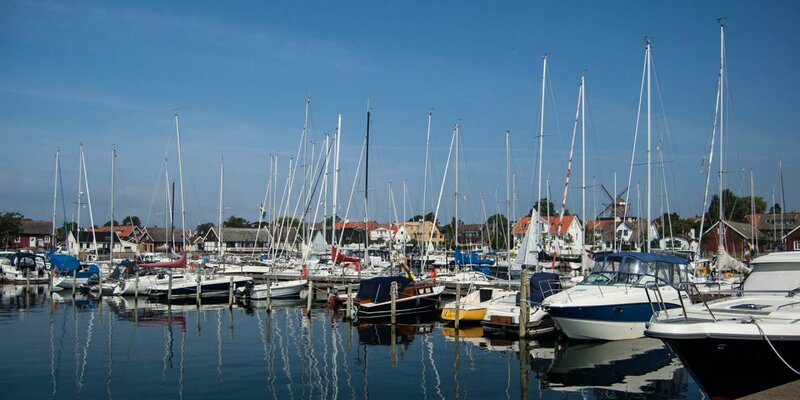 The small harbor basin is suitable for smaller boats only due to the shallow water. Since in the early 1990s a group of Swedish wave surfers discovered that the waves close to the port are excellent for surfing, Mölle has developed into a popular meeting place for surfers and has been the venue of several international competitions in wave surfing.